A neurologist is a physician specializing in neurology, a medical specialty deals with nervous system, specifically diagnose and treat all categories of disease involving the central, peripheral and autonomic nervous systems. If you have the following symptoms, you should ask your primary care physician to refer you to see a neurologist. What is neuromuscular subspecialty under neurology specialty? Neuromuscular subspecialty provides special and more detailed services for patients suffering from disorders that affect nerves and muscles. Problems include acute and chronic neck and back pain; weakness, numbness and tingling of the hands or feet; neuropathy; myopathy; nerve injury; neuromuscular junction disorder; and motor neuron disease. How Dr. Annie Wu’s services are different from the others’? Dr. Annie Wu has excellent credentials. She graduated from Cornell Medical College with a degree of “Doctor of Medicine with Honors in Research”. In addition to her general neurology residency training, she had her neurology subspecialty fellowship training in Neuromuscular Medicine/EMG from Harvard Medical School/Massachusetts General Hospital. Dr. Annie Wu has always been patients advocate. She has been providing high standard care to all her patients. She will perform the complete NCS/EMG test herself without using a technician for part of the test. She just purchased a brand new Synergy EMG system, which is the same type used at Harvard Medical School/MGH with all the updates. 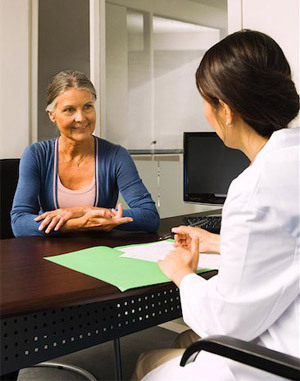 Her Harvard training in the specialty will give you best quality testing, accurate diagnosis and treatment. Dr. Annie Wu’s medical office uses electronic medical records system that improves patient care and efficiency in physician-to-physician communication. The website offers medical education to patients. Patients can post their questions to certain medical conditions and will get detailed answers through the website. Dr. Annie Wu also offers educational consultation to young students who are interested in going to medical school, and to medical students who want to go to top residency or fellowship programs.